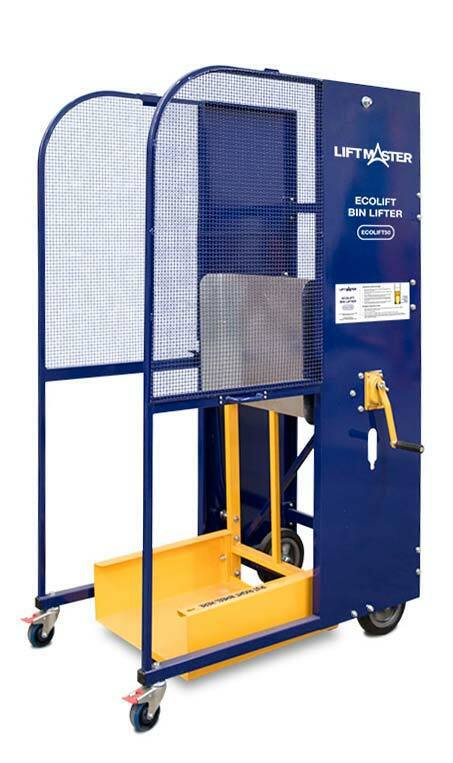 The Ecolift bin lifter is a manual crank handle operating unit that aids in the lifting and emptying of wheelie bins into dumper bins. The Ecolift is the ideal unit for infrequent light weight lifts. The Ecolift eliminates all lifting from the process of emptying wheelie bins into larger dumper bins. The bin is lifted by simply manually rotating the crank handle. The user is protected against costly back injuries.